Many products you have in your kitchen can often be used for more than just cooking. Vinegar is a really versatile product that actually has a lot of beneficial and sometimes fascinating uses. 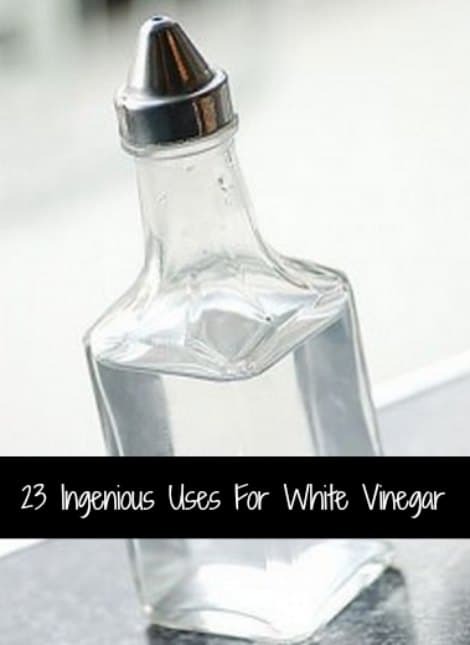 One of the uses for white vinegar that you may not know about is when cleaning. Vinegar is an ideal disinfectant and deodorizer if you mix it with other products in your kitchen. You can also clean a clogged drain in your kitchen or bathroom with baking soda and vinegar. Have you ever prepared a meal and needed to chop an fresh onion or any garlic cloves? Another of the uses for white vinegar is eliminating any smell that is on your fingers and hands. You really need to see for yourself how this product is beneficial.